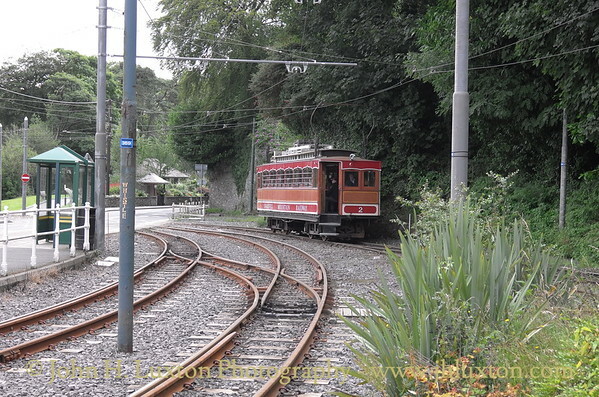 The only electric mountain railway in the British Isles. 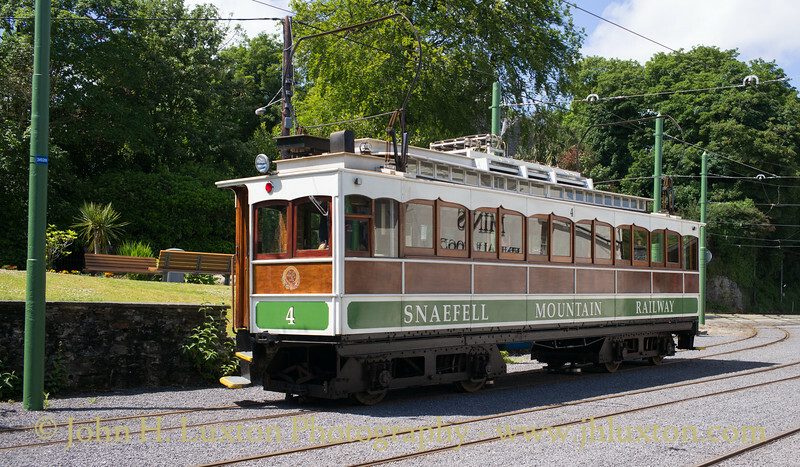 Snaefell Mountain Railway car 4 seen at Laxey station wearing the green livery used for a period after the SMR and Manx Electric Railway were nationalised IN 1957. 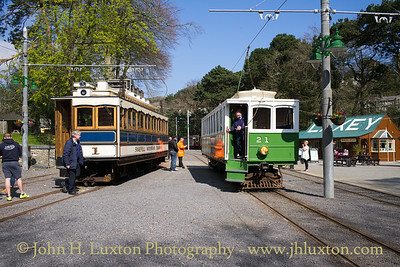 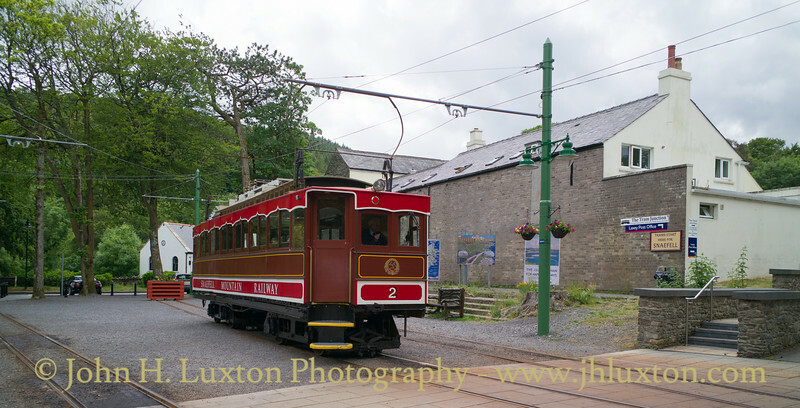 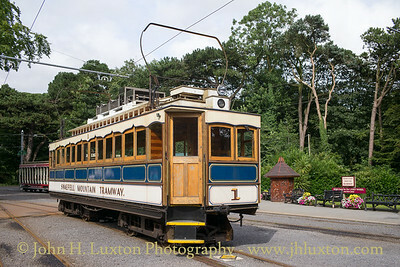 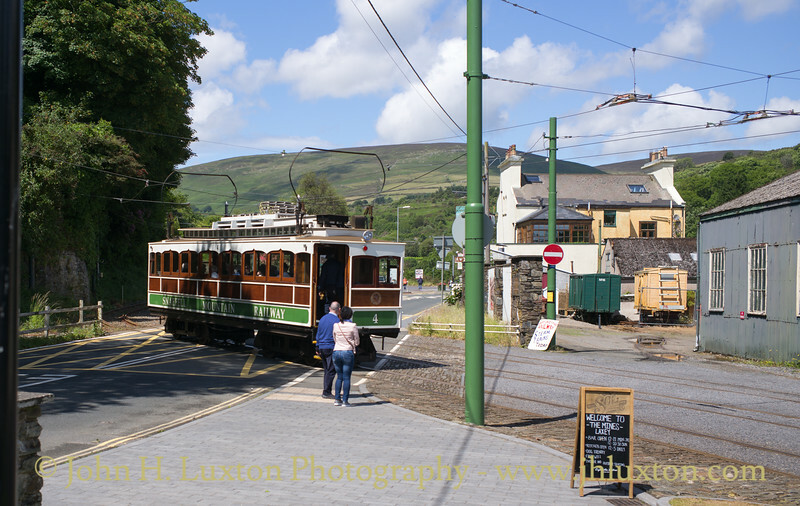 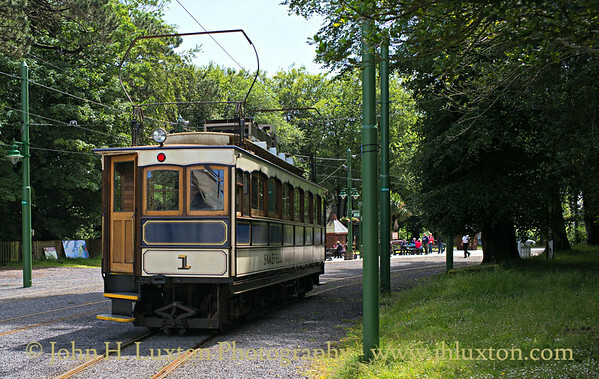 Car 1 departs from Laxey station bound for the summit. 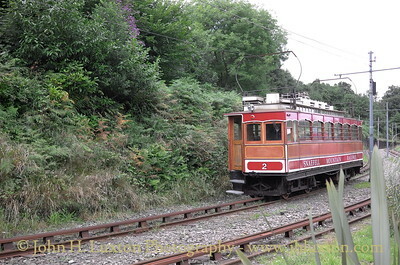 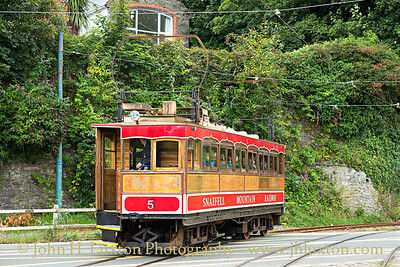 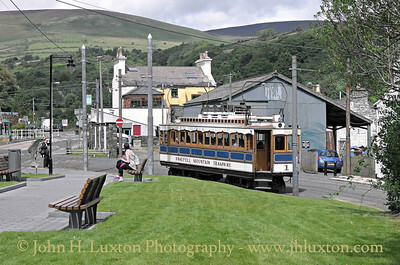 Car #5 departs from Laxey Station for Snaefell Summit. 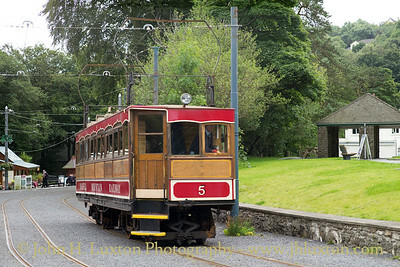 Car #5 arrives at Laxey Station on July 30, 2017. 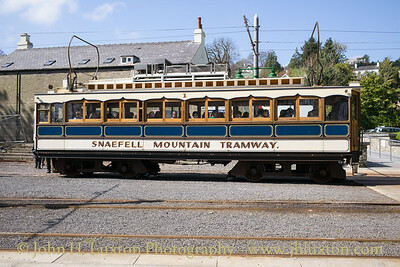 Car 1 wearing the Snaefell Mountain Tramway livery at Laxey Station. 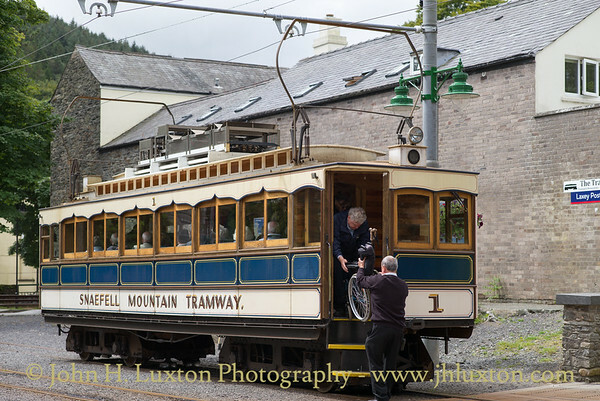 Car 1 wearing the Snaefell Mountain Tramway livery arrives at Laxey Station from Snaefell Summit on July 30, 2017. 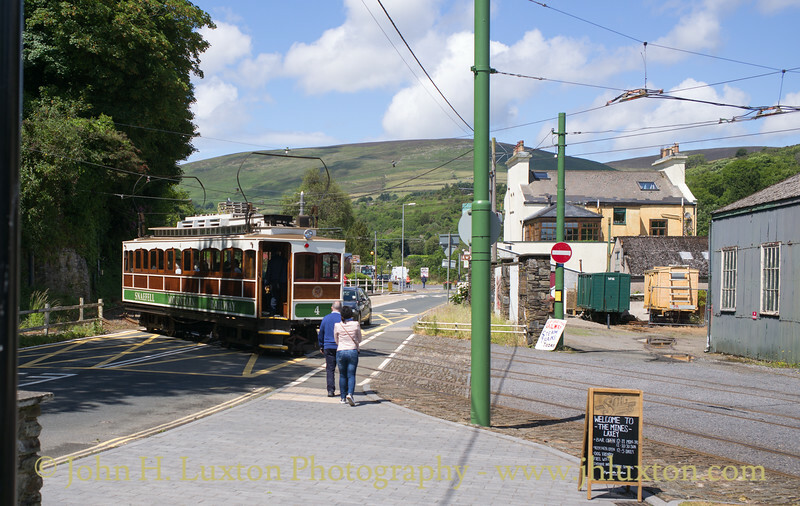 Cars #2 and #6 at Laxey Station on July 29, 2017. 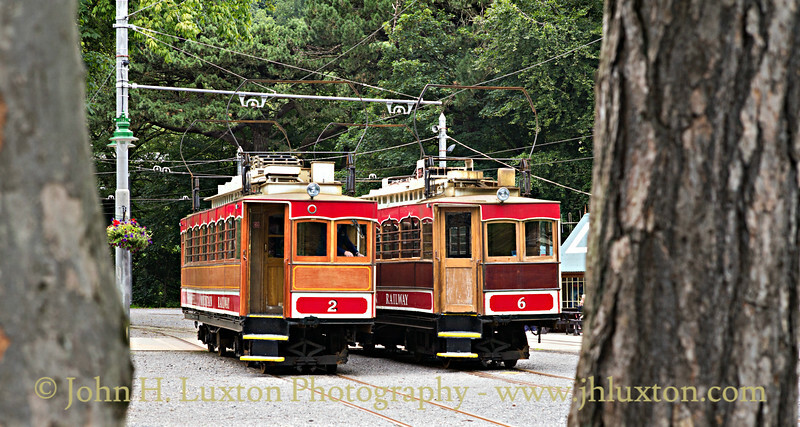 Cars #5 and #2 at Laxey Station on July 29, 2017. 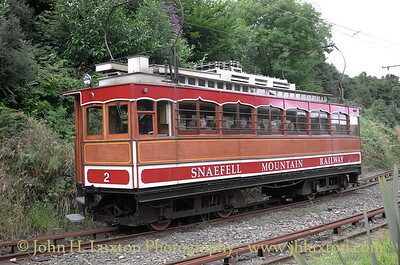 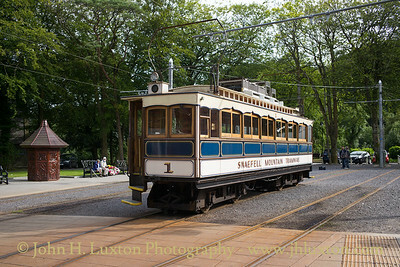 Car 1 wearing the Snaefell Mountain Tramway livery. 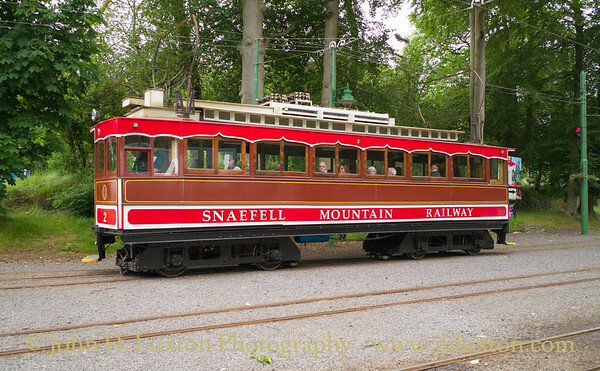 Snaefell Mountain Railway Car 1 and Manx Electric Railway Car 21 at Laxey on Saturday April 08, 2017. 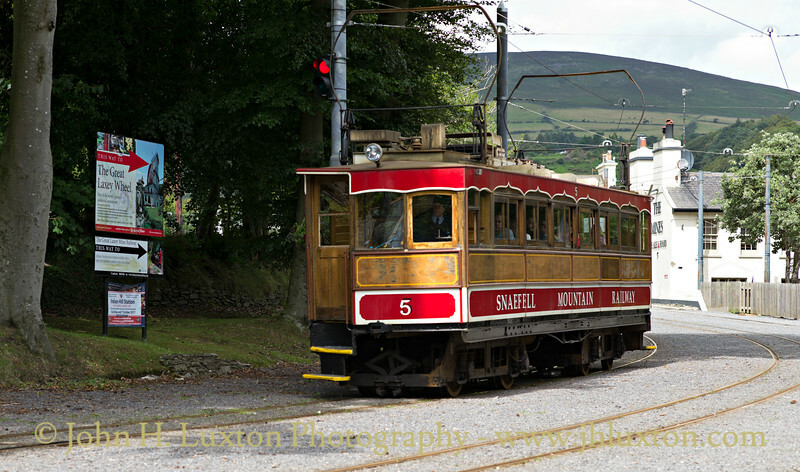 Snaefell Mountain Railway car #2 approaches Laxey station level crossing. 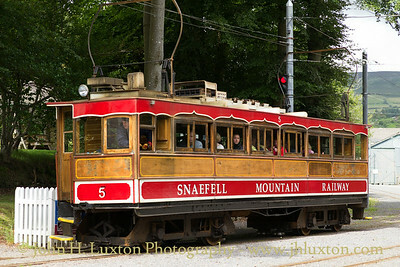 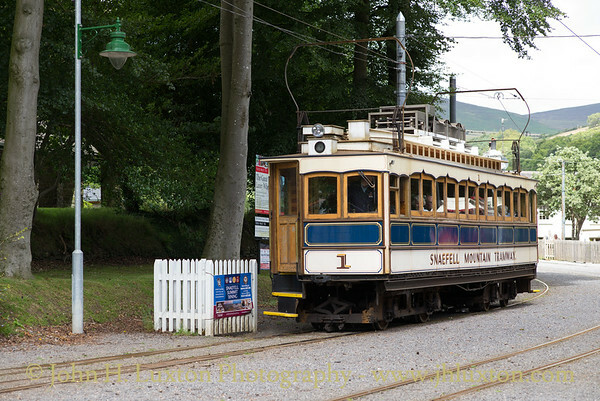 Snaefell Mountain Railway car #1 departing from Laxey Station with another working to the summit.